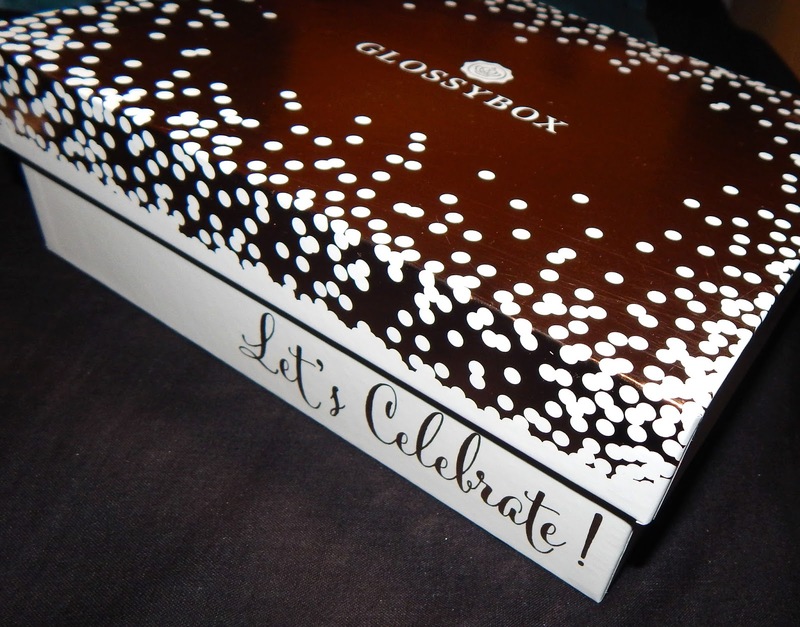 As you already know I signed up to GlossyBox last month and loved my first box, you can read all about that box here. This months box was the Rose Gold Edit themed box just for the festive period, they had worked with beauty blogger Really Rae to complete this months box too. First of all the box design is gorgeous and very festive which I think is what they was going for this month. The rose gold colour and the text saying "Let's Celebrate" just gives the look and feel of a glamorous Christmas. The contents of this months box was wrapped in white tissue paper instead of the usual pink and tied with a white ribbon and clear sticker, this all adds to the festive theme. The strutted paper which the products lie on inside the box was also white, this reminded me of snow. You can see that this month had 6 items inside which was great, they was all items to help with the winter months and make you feel and look great during these cold days ahead. I tend to only use face masks on a once a month basis so this was nice to receive a different brand of mask that I haven't tried before. The mask I received was the Brightening mask which is great for refreshing and brightening the skin after a day out in the cold or a Christmas party night recovering session. I would definitely purchase this product again. To receive a full size product that has this price tag is just amazing since the box is just £10.00! I love that this is in pencil form because it is so easy to use. Its literally just a case of drawing onto the skin in areas you want to highlight and then blending with a brush or your finger. The product also blends really easily so this is a product that saves time and effort meaning you can highlight everyday in no time at all. I've never used a eye roll on before and I'm not sure I will use this product however when trying this product, I did like that the metal ball that rolls over the skin is cold; so using this under my eyes when I'm looking and feeling tried was refreshing. 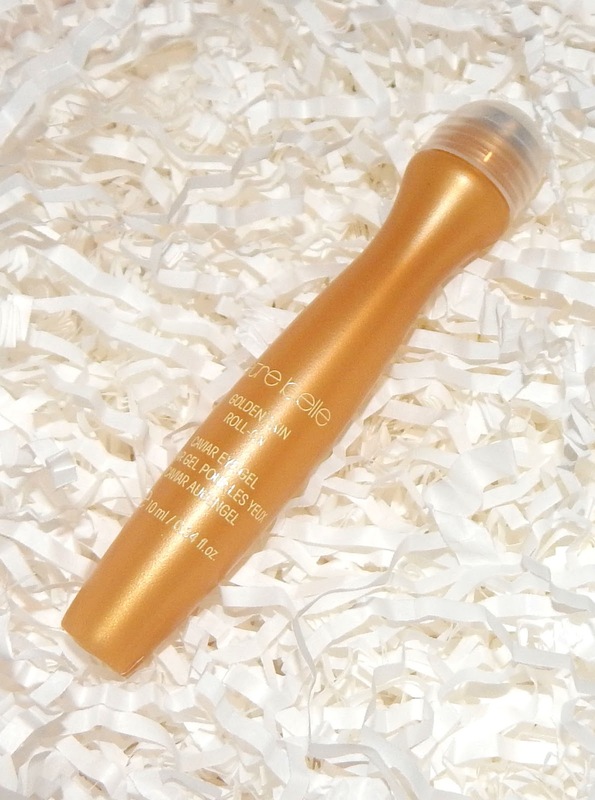 The product leaves a gold tint on the skin so it needs to be rubbed in after rolling. I just don't know how often I would use this product if I was to purchase a full size product. I hate to say this but this is one of the first products in a sub box or mystery box that I really don't like... 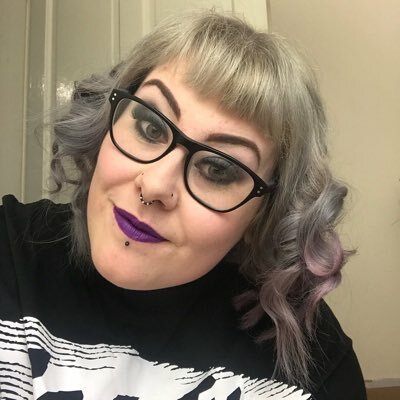 This lipstick is very sticky and gooey which isn't good at all. I will say that the coverage is good as the colour is bright and you only need one swipe over the lips to cover with the colour. Finally trying to get the product off my lips was terrible, the stickiness just made it impossible to take off, this made me uncomfortable in using the product. The design of the product is quite unique though, in the shape of the product inside the bottle. This is a A Class product, its smell amazing, feels amazing and is easy to use. Of course it is a moisturiser, its in a cream form so anyone can use it and rub it into the skin. If a moisturiser smells good then it is a hit with me, I wouldn't use any skin care product that didn't smell good, as this would put me off. After applying this Talika product my skin feels soft and refreshed. I have since used this everyday and will continue to use it. 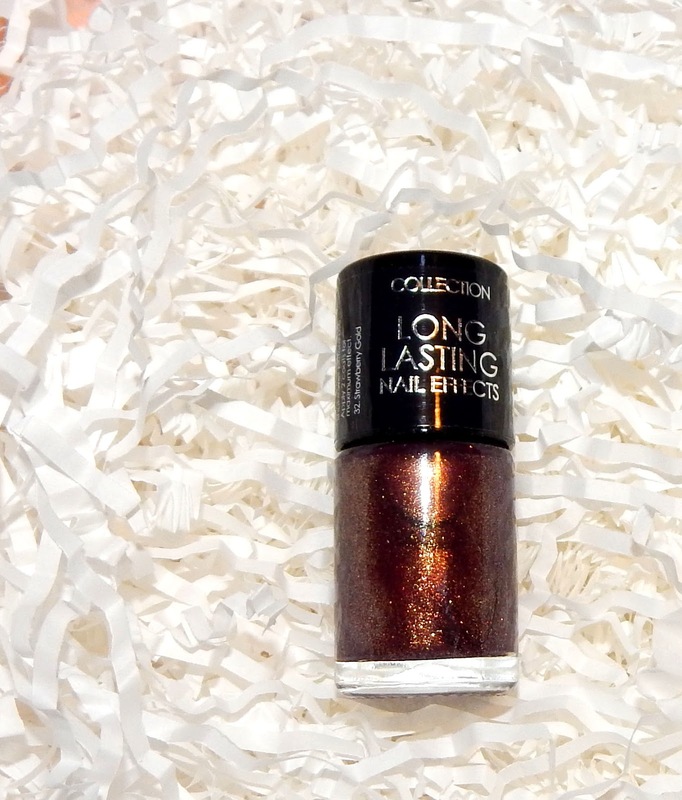 Who doesn't love a festive nail colour in a gold, copper, bronze shade??? 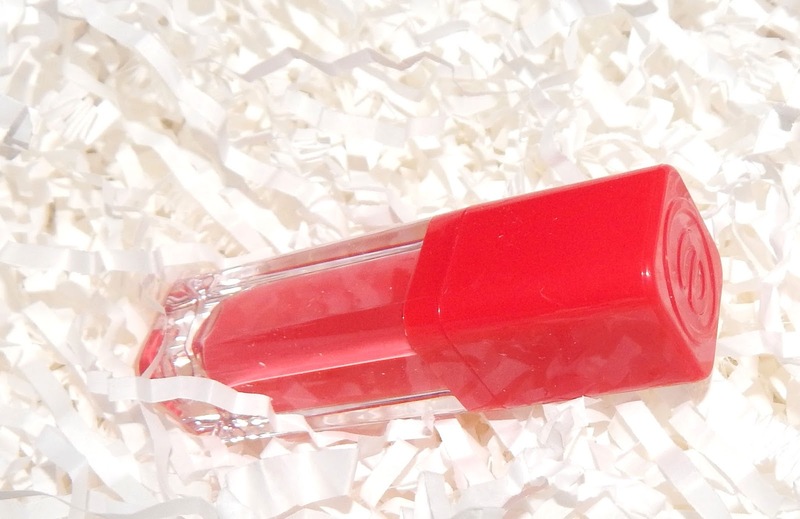 This shade is great for the party nights out or just for everyday running up to Christmas day and after. I have used Collection products before and had good results, this nail polish is just as good as a higher end polish and stays put for a good few days. The December GlossyBox is another great box, I'm so glad I kept the subscription running, I have had an email from GlossyBox to pick a MUA lip shade for my February box too. I like that I've been able to pick a product, I would enjoy picking one or two products every month then the other three products could be a surprise still. I also love the special designed box this month, I will be reusing my box as storage in my bedroom. Merry Christmas to GlossyBox and all my readers! I can't wait for next months box in the new year!